The baby shower memory game is one of the best baby shower games to play because its simple and challenging for guests at the same time. A memory is played by asking players to commit something to memory or just to recall something from memory for the benefit of the game. A popular baby shower memory game you can play is the baby shower memory tray game also called by some as the baby tray game. 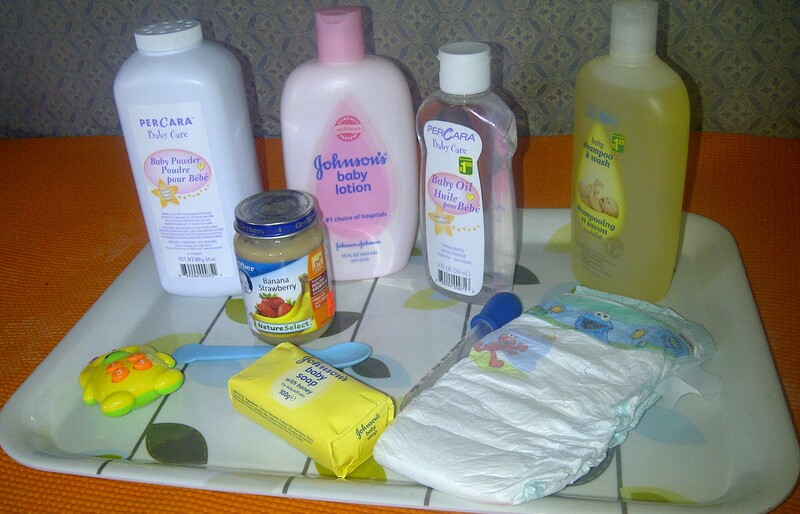 To play the game you will need to purchase 6 to 10 small baby related items and lay them out on a serving tray. When you are ready to play lay the tray on a table or walk around the room once holding the tray so that all guests are able to see the contents. You will then cover the tray so that its contents are no longer visible for guests to see. Give each guest paper and pens to write down all the items they remembered seeing on the tray. The person that has written down the most correct answers wins the game. A fun twist to the baby shower memory tray game is to ask the mom-to-be to hold the tray and instead of asking guests to recall the items they saw on the tray, you ask mom-to-be to leave the room and guests are asked to try and remember what she is wearing as accurately as possible. After guests write down their answers the pregnant guest of honor returns to the room and guests see how accurate their memory was. Award a prize to that person who writes down mommy's outfit the best.